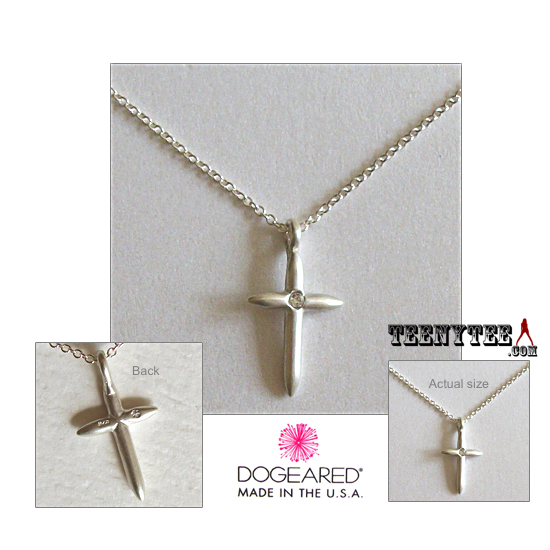 DOGEARED WITH FAITH Cross Pendant with Crystal inset Necklace / Sterling silver cross / come with 2"extender & box. Card : 4 x 4" Dogeared 2018 new pale pink flat card. 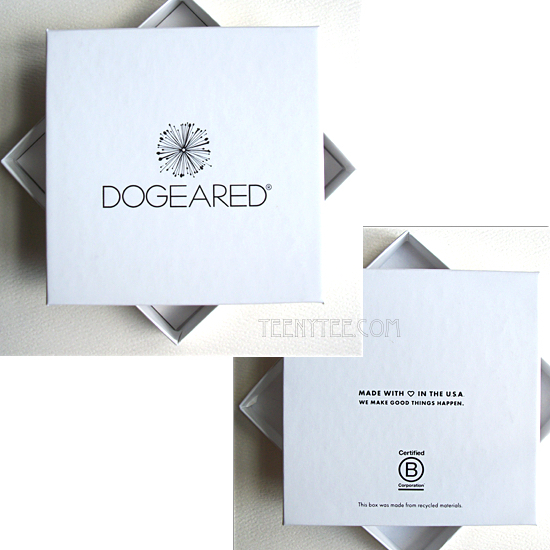 Box: 4.25 x 4.25” Dogeared new white box (shown in the picture). Come on a card shown above. 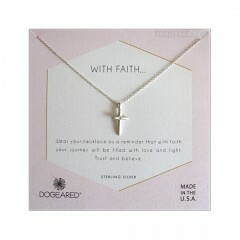 Each item of Dogeared Make a Wish necklace has each unique concept. 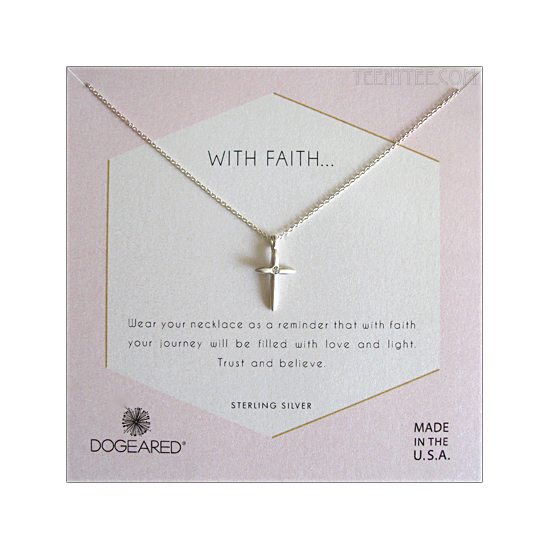 This item is a reminder with FAITH. 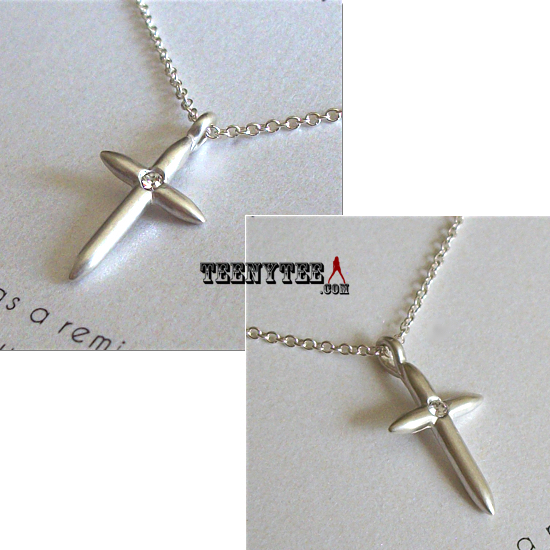 Sterling silver cross charm and chain. Handcrafted in California with great care from inception to design. 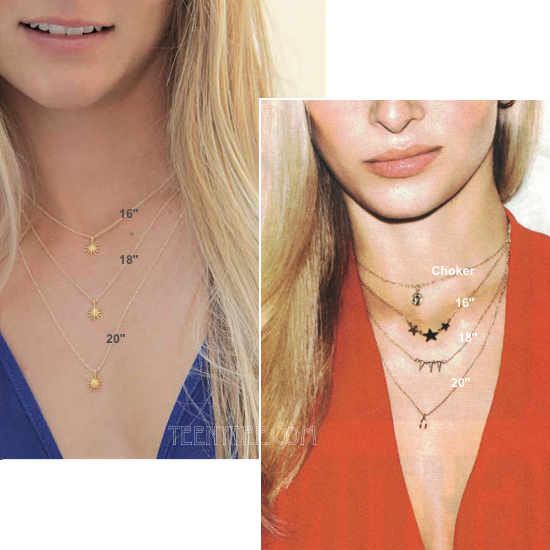 NOTE: Please refer the model photo to get idea how the 16" & 18" length chain will fits on your neck. Sideways Cross Whispers Necklace Gold 18"